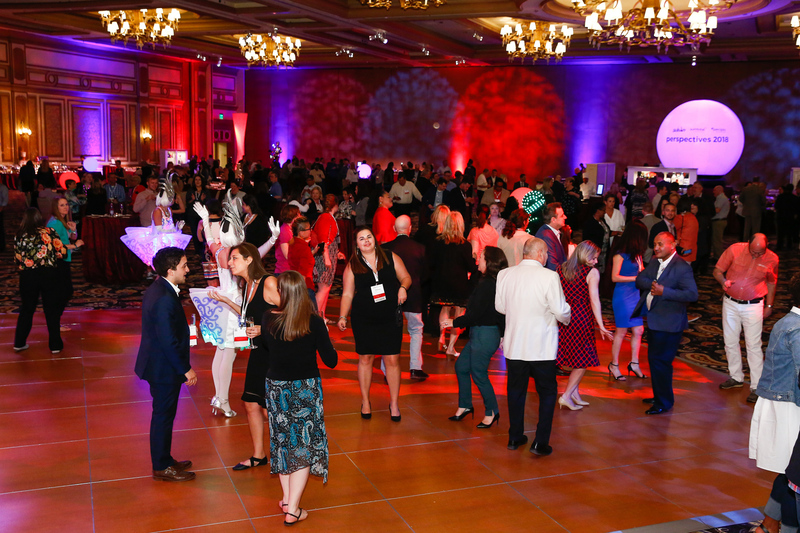 On Monday, May 14th we will host our annual user conference, and as always, we want to give our attendees a truly memorable and beneficial experience. We appreciate that everyone is taking time off work, so it’s important to us that our audience leaves feeling reenergised and inspired. Starting at 9 am, Chad Gaydos, our Chief Operating Officer, will kick things off with an overview of everything we’ve accomplished over the past 12 months. Then Apratim Purakayastha (AP), our Chief Technology Officer, and Mark Onisk, our Chief Content Officer, will delve a little deeper and get product specific making sure everyone is aware of what we are doing now and our roadmap for the future. David Wilson, CEO of Fosway Group, then takes to the stage to share his thoughts on Transforming Learning in the Digital Age. This is very much a hot topic and something I know everyone wants to learn more about given the accelerated pace technology is revolutionising not just the workplace, but also the workforce. I’m also thrilled that Harriet Minter, journalist and women in leadership advocate will talk about the female experience and why we still have not solved gender diversity in business. Given the current climate of #metoo, #timesup and other such movements, this topic is particularly timely, and I’m looking forward to hearing not just what Harriet thinks, but what others in attendance feel about this as well. Like many of you, I consider my iPhone to be an extension of myself, so naturally, I’m interested in hearing what Andy Lancaster, Head of Learning & Development, CIPD, can tell us about leveraging the smartphone for learning. Later in the day Laura Overton, Founder and CEO of Towards Maturity, is presenting. As 2018’s most influential person in the world’s corporate eLearning sector, Laura always brings a ton of useful data and insights which everyone can use to make 2018 the year for transforming your organisation. In line with our belief in the power of the consumer’s voice, we’ve invited a number of our customers to come and share their story. We’ll hear from The National Trust, Royal Bank of Scotland, Capgemini, Linklaters, Standard Life Aberdeen and Centrica. Steve Wainwright, our EMEA Managing Director, will finish out the day around 5 pm ensuring time for everyone to do some networking – which after all is one of the key reasons for attending Perspectives. I’m exhausted, need a sugar and caffeine detox, have almost, but not quite lost my voice, but I feel more exhilarated and energized than ever. 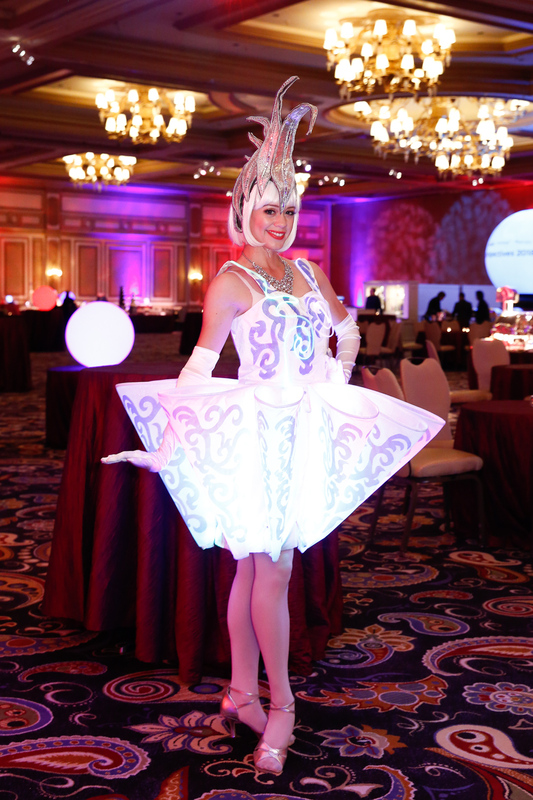 The winds swooping across Vegas may have knocked over a glass of wine or two and driven many a person to regret their clothing choices, but I saw them as refreshing and heralding a much-desired change in the way we view corporate learning and talent management. 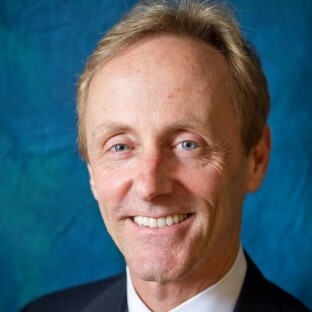 Josh Bersin spoke of a renaissance in learning and reminded us that while automation of work may frighten some CEOs, the truth is we have nothing to fear if we grab the opportunity by the proverbial horns and rise to the challenge. And it is a challenge. Yes, employment rates are up, wages are up, but productivity is down. The workplace is considered the biggest source of stress in America, 1 in 6 Americans now relies on drugs to get asleep and we are all now living and working longer than ever before. Can learning help alleviate some of these concerns? Yes, but we are given so little time for learning – on average 24 minutes per week – literally making every second count. Organizations must now answer this call and examine their learning solutions. Is both micro and macro learning offered? What about opportunities for practice? Leaners have spoken and said they want learning that’s personalized, adaptive and readily available, which means they want the learning to come to them rather than having to take the time to seek it out. It’s learning in the flow of work, on demand. What you have to ask is what do you have or offer at your organization? To me, this is where it gets exciting. This pressure to match demand with need, made even more pertinent by the fact that hiring from within is cheaper making investing in your own talent more critical than ever, is when we really begin to separate the wheat from the chaff. As Josh enumerated the ways we must deliver learning, I found myself repeatedly nodding my head. 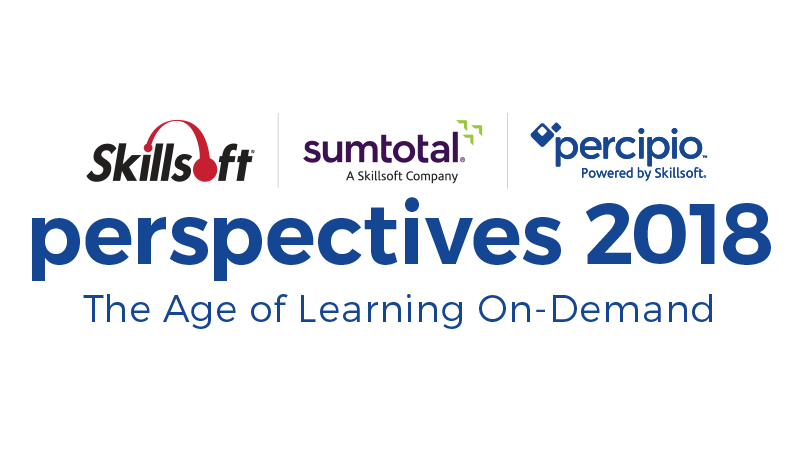 We’ve got this, from Percipio ELSA to the latest enhancements to the SumTotal Talent Expansion Suite, Skillsoft and SumTotal are not just reacting to this change, we’re a step ahead. The last two years of investment and transformation within our organization is paying off. Now we’re in the unique and enviable position that we can give you the tools, the power, and the means to transform your learning and development opportunities for all your employees. As Chad Gaydos, our COO, put it to everyone, the real issue now is – are you ready? If you are in any way uncertain about your future, or if you are ready for the future, then you need to look no further than Andy Cunningham. 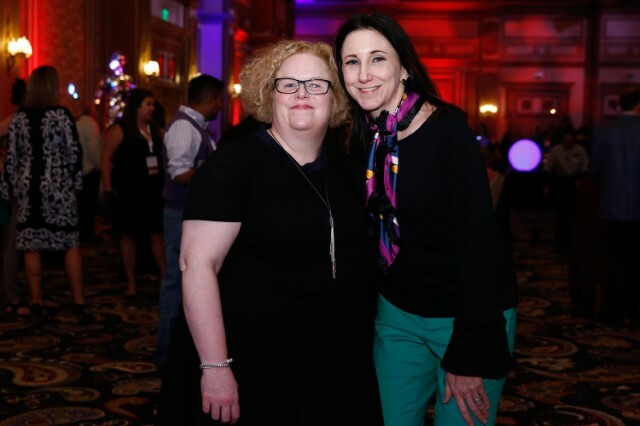 Her keynote reminded us all that to remain relevant and to succeed it is necessary that every organization define its unique role in the marketplace compellingly and differently. To fail to do this means a fate similar to Kodak, Toys “R” Us and the railroads. To assist with this, Andy offers a guide, a series of 12 steps that once taken will provide the material for you to establish your organization’s identity and why you matter now. After Andy, we heard from Apratim Purakayastha (AP), our Chief Technology Officer (CTO), and Mark Onisk, our Chief Content Officer (CCO). AP showed off not only his impressive dance moves but also ELSA and Percipio in all its customizable, out-of-the-box curated content glory, at one stage even talking to Alexa! Percipio is the number one consumer-led learning experience platform, and it really does bring learning to a whole new level. 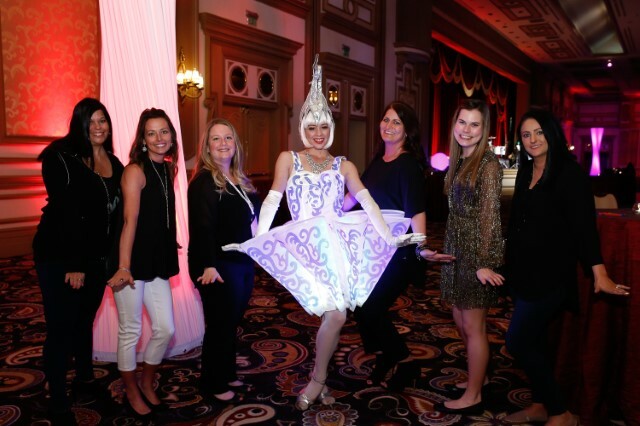 “Percipio ELSA is a great example of cutting-edge technology being used to disrupt a market. Percipio ELSA dramatically improves the user experience by offering learning where they are, when they want it and how they want it. If you want quick snippets, a deeper dive, video, audio or text, it is at your fingertips. It used to be that immediate access was one-click-away. Percipio ELSA sets a new standard by enabling embedded learning. You never leave your work to learn. 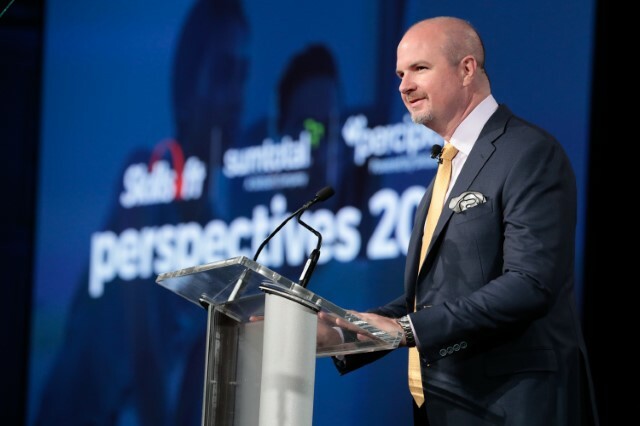 That’s a game changer,” said Todd Maddox, Ph.D., Learning Analyst at Amalgam Insights, Inc.
Mark then took to the stage to showcase our content products – including our new Skillsoft Leadership Development Program, our new Digital Transformation series and our IT Skills and Certification Training. We have worked hard over the past 12 months to make sure that the learning we offer ensures employees achieve their fullest potential and organizations benefit accordingly. My colleagues have spoken to these products directly, but here’s Heide Abelli explaining why our new Digital Transformation courses are game-changing and will become the core of your transformation. When Wendy Sachs, our third and final keynote speaker, took to the stage the atmosphere in the room visibly changed. Her unbridled passion infused the room, and the audience soaked up her infectious spirit en masse. Wendy urged us all to get comfortable being uncomfortable, to not see failure as a death knell, to stop internalizing it and instead see it as proof of reliance and staying power. She also wants women to stop saying sorry and to speak up for one another. She also encourages women to stop using shrinker words, words like “just” or “actually” as they devalue or diminish what you are saying – say it strong and with confidence. It was then Innovation Awards time. 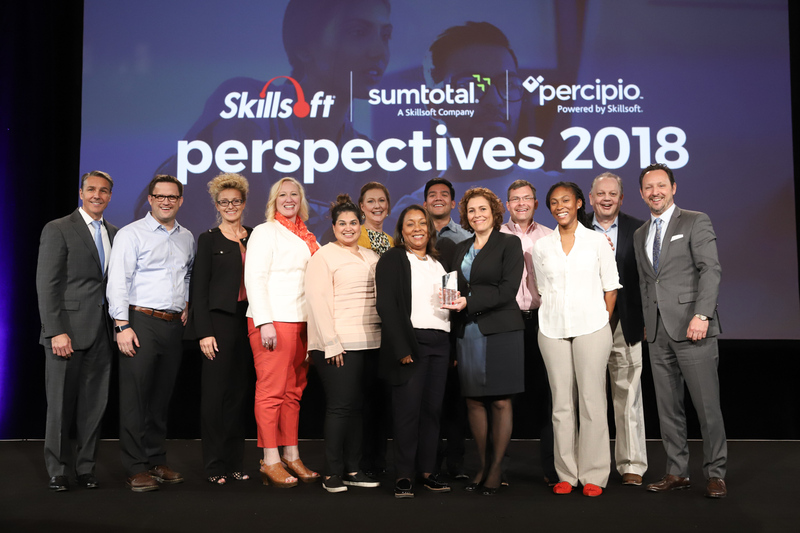 We recognized 15 winners in six categories for using Skillsoft and/or SumTotal’s products and services to impact real organizational change, fuel the success of their talent, and enhance employee engagement. A hearty congratulations to Accenture, ASAE (The American Society for Association Executives), Capgemini, comScore, Defense Security Services, Domtar, DXC Technology, Florida Blue, General Motors, Global Knowledge, HealthcareSource, Heber Sambucetti, LexisNexis Legal & Professional, Lloyds Banking Group, and Moneris. All of these organizations demonstrated success, innovation and expertise in learning and development, talent management, and/or workforce management. After lunch, it was time for the breakout sessions, and it’s always great to hear our customers and partners speak about how they are using Percipio, Skillsoft and/or SumTotal. Again, there were many to attend, but there are two I want to mention. The first is Enabling Cutting Edge Career Pathing with SumTotal given by Derek Blake of PSAV, a man whose infectious enthusiasm is most refreshing. In this session, Derek spoke about how PSAV overhauled their approach to career development to build a clear and structured foundation that develops employees, making them a match for a new job even before they have applied for it. This means creating new job descriptions for each role within the company and ensuring that it lists the specific competencies, specific skills and the specific certificates or professional qualifications required for a particular role. This makes it easier for employees to see what they need to achieve so they can advance within the company and gives the company a clear picture of what employees are the best fit for internal transfers. In other words, a win-win for all. On Friday, which was again a morning of breakout sessions, I went along to hear how Moody’s developed and implemented a Digital Transformation program. Clive Swift, VP CIO office, gave a comprehensive, step-by-step, overview of how he and his team accomplished this. All those in attendance were rewarded for staying for what was the last session of the conference. It was quite impressive to hear Clive explain how they managed this project. From the beginning, everything was meticulously planned and the seven streams – Digital Transformation, Agile, DevOps, Cloud, Practical Architecture, Security and Customer Centered Design – chosen for a foundational program were offered in a multi-modal format. Each stream was delivered via a combination of learning options. For example, DevOps, was available via a combination of eLearning, video, ebook, books, with a DevOps handbook particularly popular amongst learners. All streams included knowledge testing and as learners completed the entire program they were awarded with a certificate and a shout out at the Town Hall. Clive also gave us everything we needed to know about how to promote such a program, and again it was impressive to hear him explain just how many different methods Moody’s used. 2018 is our 19th Perspectives, and our biggest and best one to date. While the unseasonably strong winds did mean we had to move our pool party indoors, not once but twice, I see them as the portentous harbinger of the changes happening in the L&D world. A change long overdue and one Skillsoft and SumTotal are fully prepared to embrace. I hope all those who attended enjoyed the event as much as I did, or at the very least left knowing more than they came with and that all got home safely. Here’s just a snapshot of what went on in Vegas.